Archive from category "Catering and Private Chefs"
Serving-up Caribbean, Cajun/Creole, American and Italian food. In/outdoors eating on the wrap around deck. Upgrade your holiday with the Caicos Cuisine experience. Turks and Caicos private chef Jonathan Krespil, trained in Toronto and recently certified at Tokyo sushi academy in Japan, sees to it that guests take home delicious memories of this beautiful island. Caicos Cuisine handles your menu planning, provisions, on site cooking, serving and cleaning. Asian/island/Mediterranean fusions. 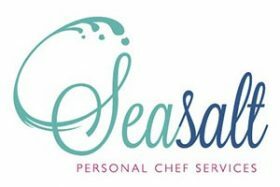 Catering services using private chefs. Got U Covered is the Turks and Caicos’ largest and most experienced event planning, party rental and catering company. Messel Ballroom at The Regent Palms. We organize and cater for weddings, business lunches, banquets, conferences for up to 100 guests.